The second Greensboro GFAF Wellness Event just happened a couple weeks ago. 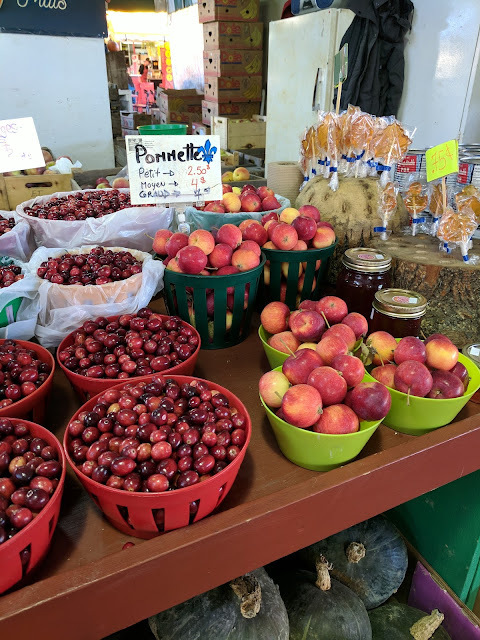 I was hoping to get this post up before Thanksgiving due to the many tasty things that would be useful for the holiday, but I spent that week feeling awful with a cold - hopefully you'll still find this report helpful for other upcoming gatherings of the season! There were a few new-to-me local food makers at the event. 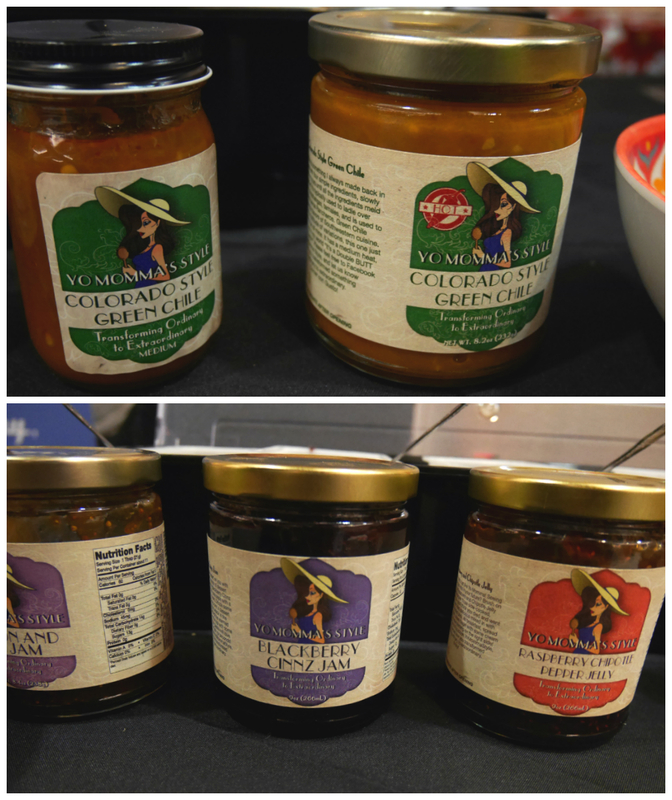 One of my favorite finds was these preserves and salsas from Yo Momma's Style (shown below). 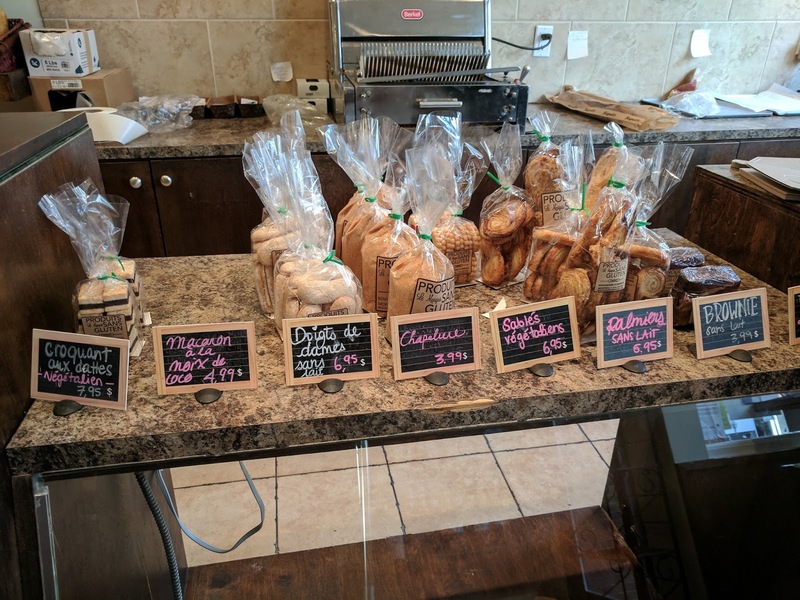 Another good local product I got to try for the first time is Simple Kneads bread (top left in large collage below) - it's exciting to see a GF whole-grain, gum-free, "real bread" sourdough available in the store! 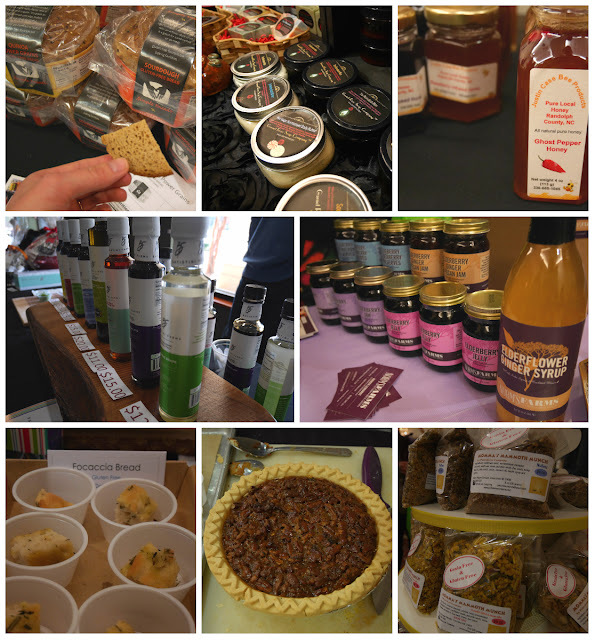 Pictured from top left: Simple Kneads sourdough; A Garnet Rose body butters and soaps; seasonal and infused honeys from Justin Case Bee Products; Italian olive oil and vinegars from Batistini Farms; elderberry and elderflower products from Norm's Farms; focaccia bread made using Mina's mix; Whole Foods pecan pie; grain-free granolas from PaleoLove, including some that is also nut-free. 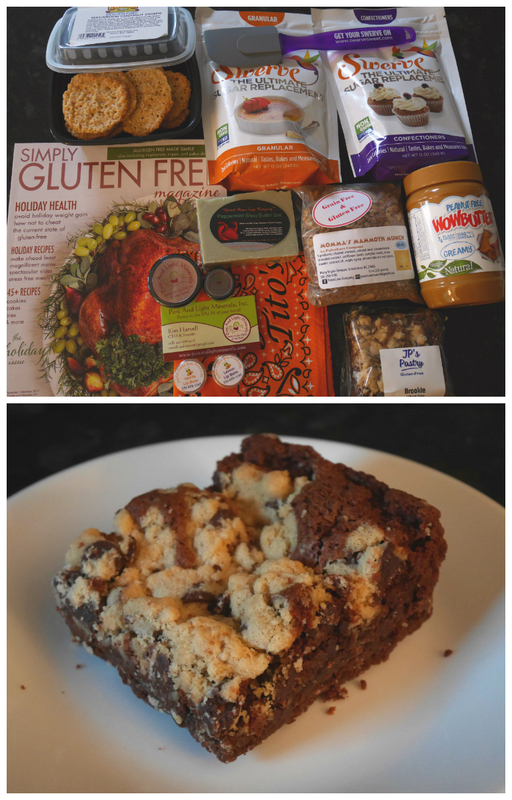 And, at the end of the day I found plenty of neat treats in my Blogger Bag: a delicious cookie dough brownie from JP's Pastry, lovely peppermint shea butter soap from A Garnet Rose, locally-made mineral makeup from Pure and Light, beeswax lip balm from Justin Case Bee Products, grain-free granola from PaleoLove, cookies from Anne's, the latest issue of Simply Gluten-Free Magazine, a couple bags of Swerve (erythritol), a jar of Wowbutter soy butter, and some merch from Tito's Vodka. A big thank you to all sponsors and vendors! 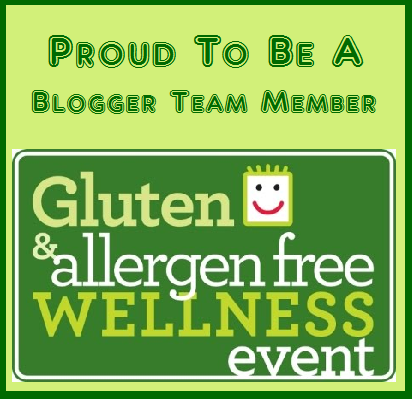 As always, all these opinions and statements are completely my own; as an event blogger I received the above items provided by vendors and sponsors, but I was not otherwise compensated and I was not obligated to write about or feature any specific product(s) or vendor(s). 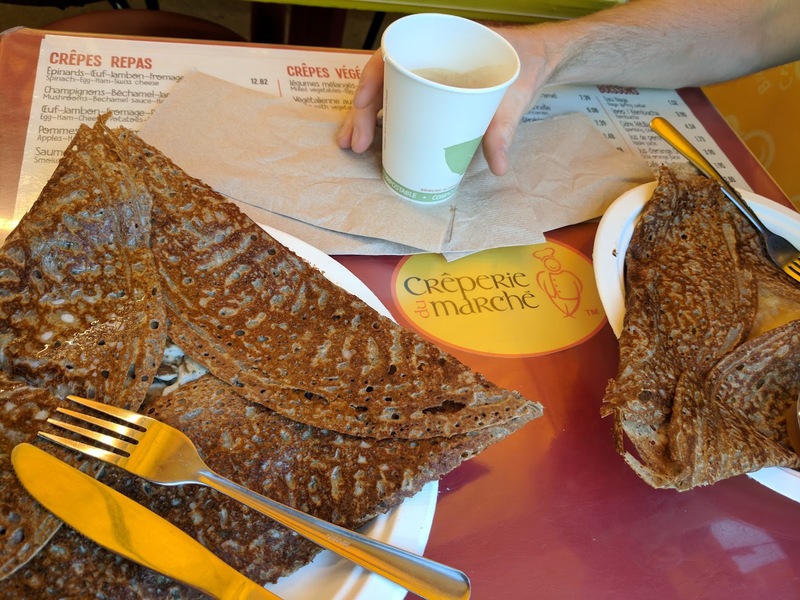 I recently returned from a trip to Montreal (on my honeymoon, woohoo! Now you know one of the reasons I’ve been so busy lately!!) 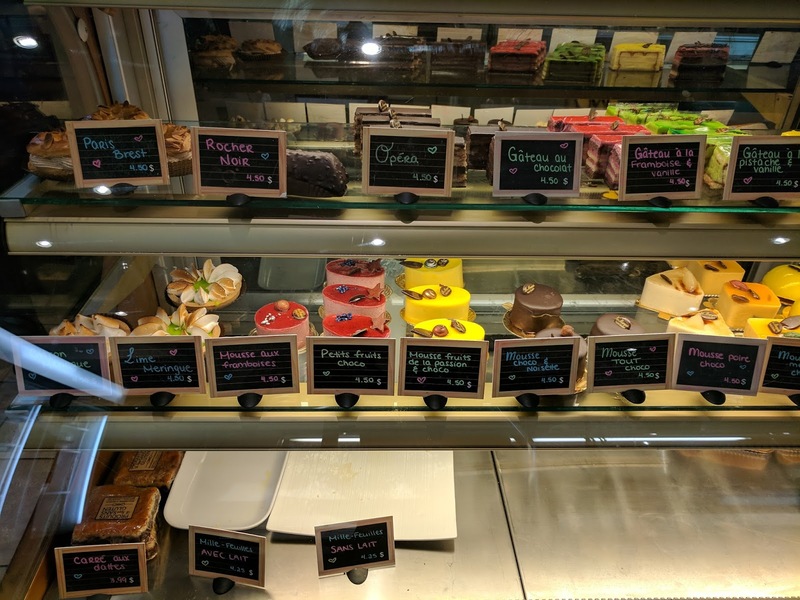 and the food I found there really deserves a post. 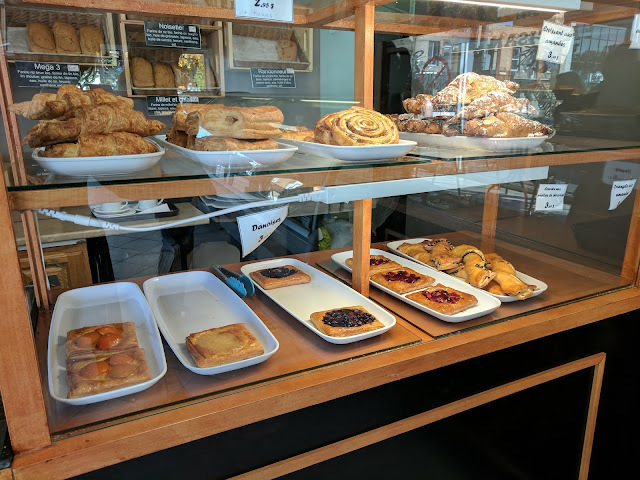 This was my first encounter with a Real Croissant, gluten-free (and also dairy-free, for that matter, as the entire bakery is - though I wouldn’t have guessed from the taste). What I mean by a Real Croissant is this: it’s true viennoiserie, meaning multiple separate flaky tender layers. Oh, and the chocolate croissant was still slightly warm from the oven, making it even more indulgent. I don’t know how they made this. Just look at the twists and turns and layers in that pastry case. 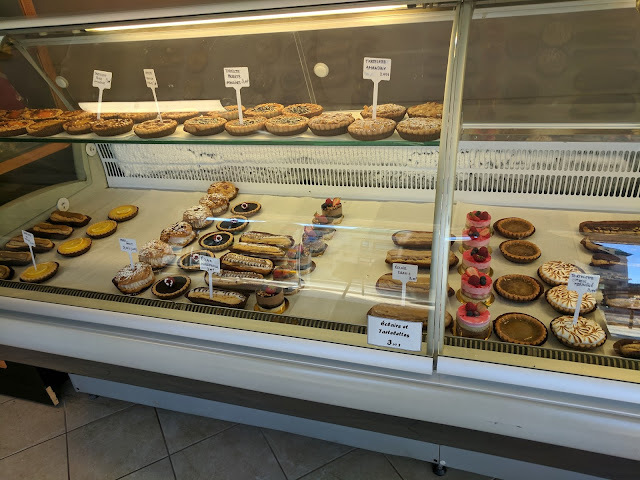 Prior to walking into the bakery, I did not know it was possible. The flavor was very good as well (this was a pretty consistent feature of almost all the baked goods I ate on the trip: none of the odd off-flavors that GF baking can sometimes have; just bread flavors). 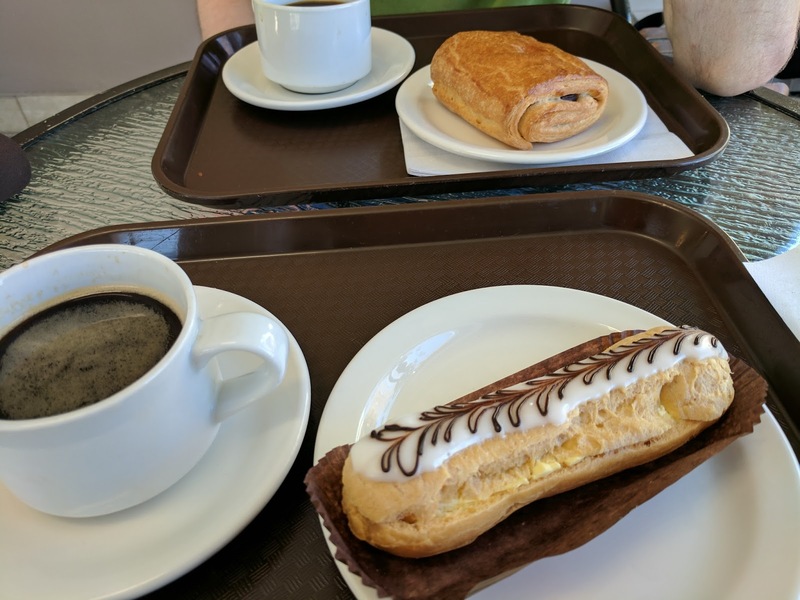 And so, here I encountered my second Real Croissant, and was amazed yet again. If anything, this one had more layers and the soft inside was even more tender, much like croissants I remember. 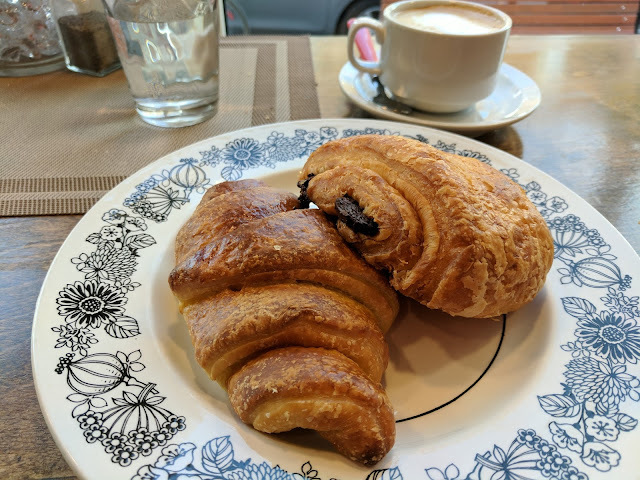 However, the flavor of this one had some noticeable egginess and was also sweeter - this isn’t a bad thing, but it does make it different from the flavor of wheat croissants, so overall I think I slightly preferred the flavor of the ones at L’Artisan while I preferred the texture of these. Both are very good! We stopped in here for coffee and a snack, but after sampling some bread, I left with a bag of mini white rolls: I don’t frequently buy GF bread but this was the first bakery I visited in Montreal, and - not yet knowing how many delightful bakeries would be available in the city - I figured it would be good to have some bread on hand. Well! I did not realize at the time just how impressive this bread would turn out to be! It’s fluffy. It’s soft. It’s bouncy and chewy - chewier than any other (non-homemade) GF bread I’ve had at room temp. And...it stays that way...for a week. Again, I don’t know how they did this. The ingredients list reveals no special secrets - it looks much like many store-bought GF breads I’ve eaten in the past, yet is somehow far better in texture and taste. According to their site, the bakery was founded by a couple of food science grads, so I suspect there may be something special about the mixing and/or baking process...I will perhaps have to think on this possibility and do some experimentation. One quibble/word of warning: this bakery lacked the “normal artisanal bakery” feel of the others - owing in large part to the fact that almost everything was individually wrapped - but I think this is for the reason of being able to separate allergens. OK, let’s talk prices. As if the excellent quality weren’t enough, most of these bakery foods are also priced very reasonably - much more so than comparable “specialty” items in the USA. 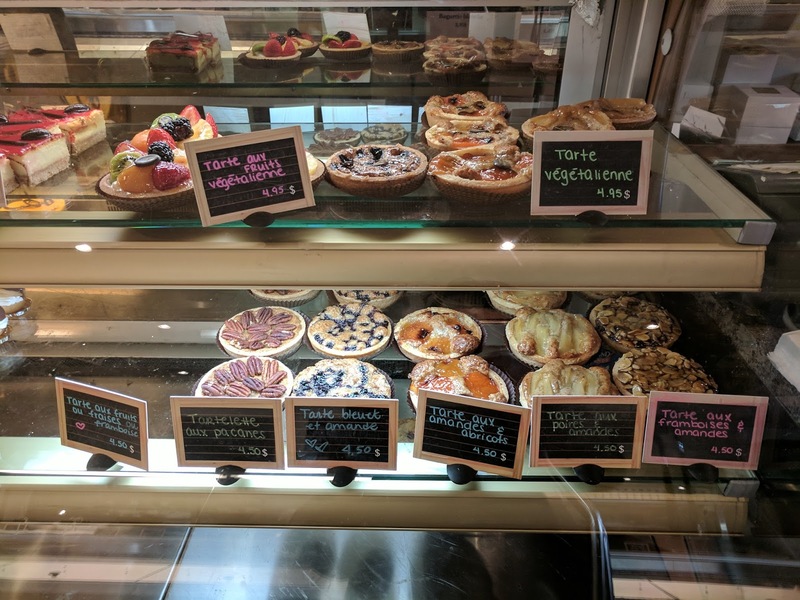 At L’Artisan for instance, a generously-sized baguette is $3.50, and they have a lunch special of a sandwich (falafel, tuna, chicken, or roasted vegetables), a coffee, and a dessert/pastry all for $10. Croissants at both L’Artisan and Le Marquis were (if I recall correctly) $2.50 and $2.95, respectively, for the plain ones, a little more for the fancy kind. (US readers, keep in mind this is Canadian dollars - converted to American money, it’s slightly less still!) 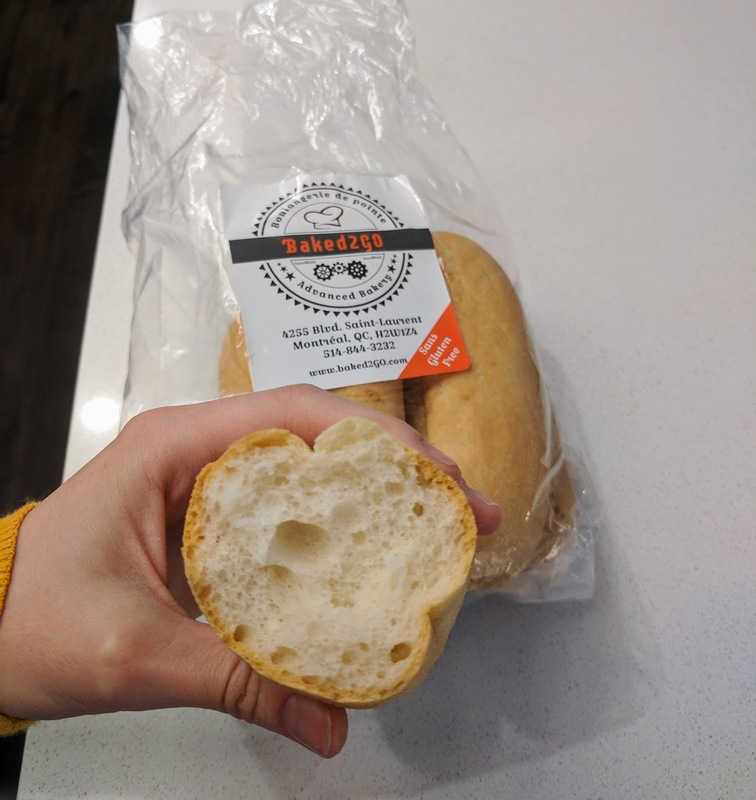 The bread at Baked2Go was $7something for a bag of 6 long rolls - perhaps a little pricier, but still pretty reasonable, considering the quality and the shelf life. 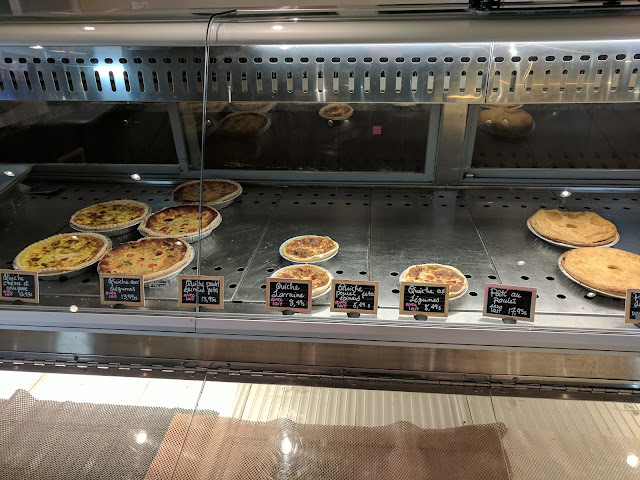 We were at Jean-Talon intending to just get produce for dinner - I certainly wasn’t expecting a delicious hot lunch to be part of the trip. I had initially not even noticed this place when it came up in my search results because usually a crêperie is unsafe for me due to cross-contamination. Imagine my pleasant surprise when I realized all the crepes were gluten-free! The owner explained they only use buckwheat, rice, and chickpea flours for the batter and to thicken sauces. I got one with mushrooms, cheese, ham, and bechamel sauce; Jon’s had ham, cheese, apples, and maple syrup. Both were wonderful. We wanted to come back later in the week to sample some more of the many varieties on the menu, but for some reason they were not open. Hopefully next time! Bonus photo: Farmer's market loveliness. The name Zero8 refers to the fact that the restaurant excludes 8 major allergens (gluten grains, milk, eggs, peanuts, nuts, sesame, fish/seafood, soy). 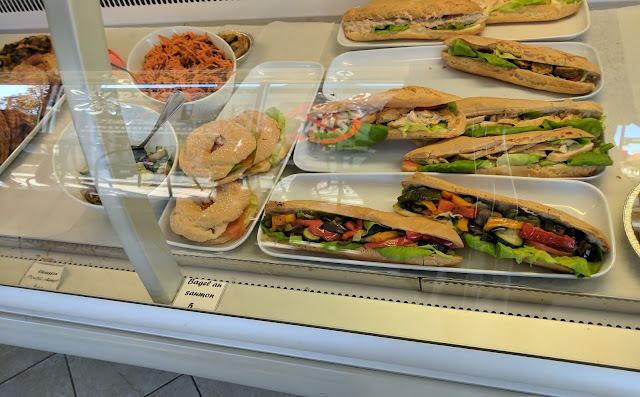 Let me assure you, though: despite the lack of all these ingredients, the food is the furthest thing from austere, with an enticing menu featuring plenty of variety. 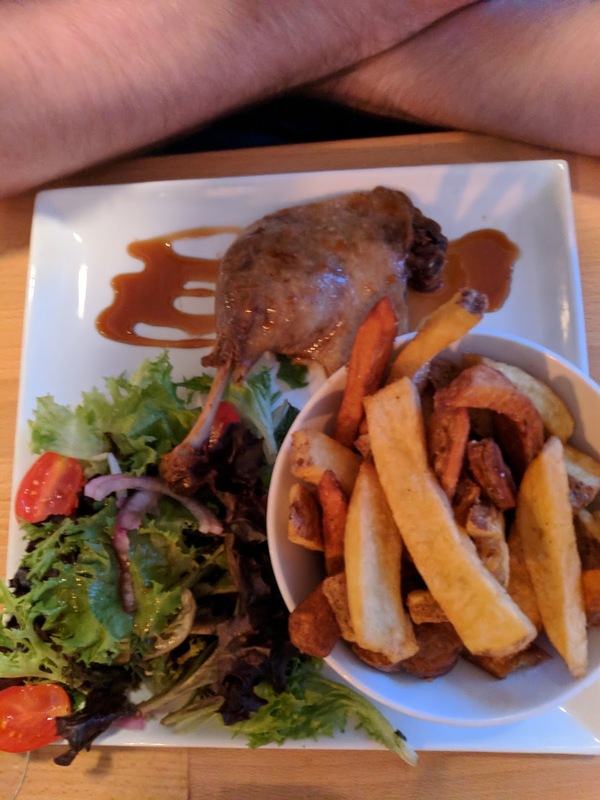 Between the two of us, we tried the duck confit (amazing! 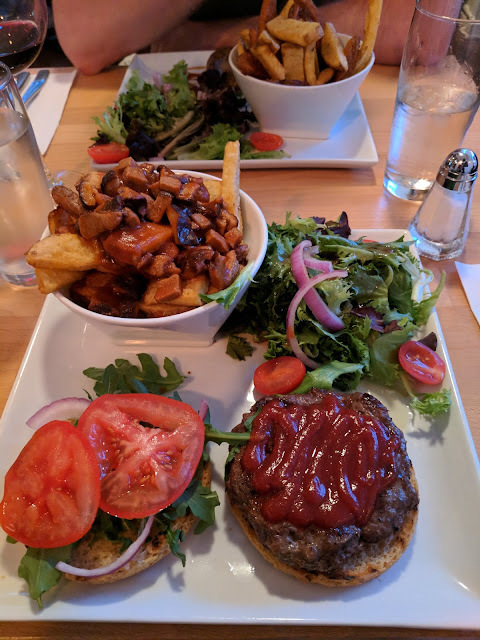 ), wild game burger, and thick-cut fries with house-smoked duck and gravy (not truly poutine per se due to the whole no-dairy thing, but still tasty). In short, Montreal has really got it right when it comes to making a celiac feel normal: No matter the part of town, I was never more than a brief metro ride away from being able to go in somewhere cozy, sit down, and get a pastry and coffee, a sandwich, or some other kind of meal or treat like a civilized person, and the food is all good enough, varied enough, and reasonably-priced enough that your non-GF companions will not mind at all to join you. And really, when it comes to food, what more could I want?